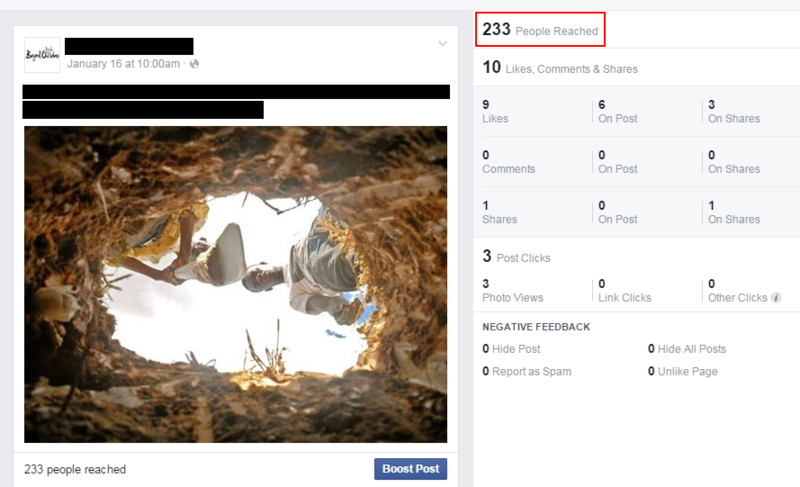 What factors affect organic Facebook reach? 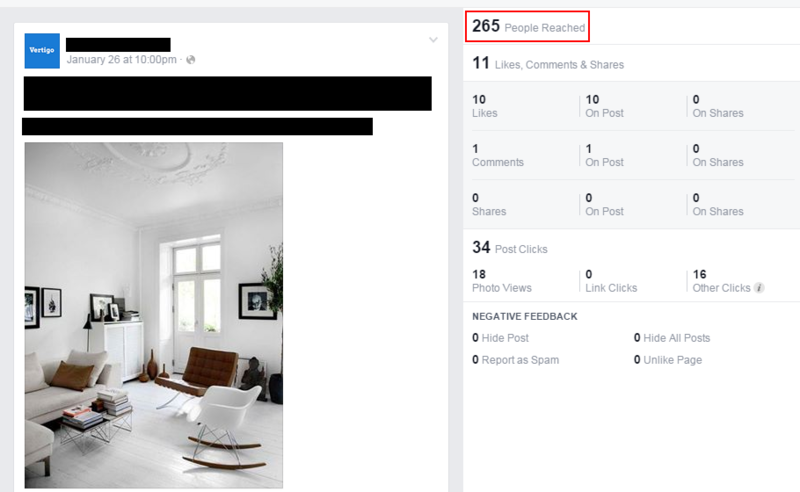 As I’m sure most people are all too aware of, achieving organic Facebook reach for your business is now harder than ever. There are many rumours surrounding the subject, but are they all true? 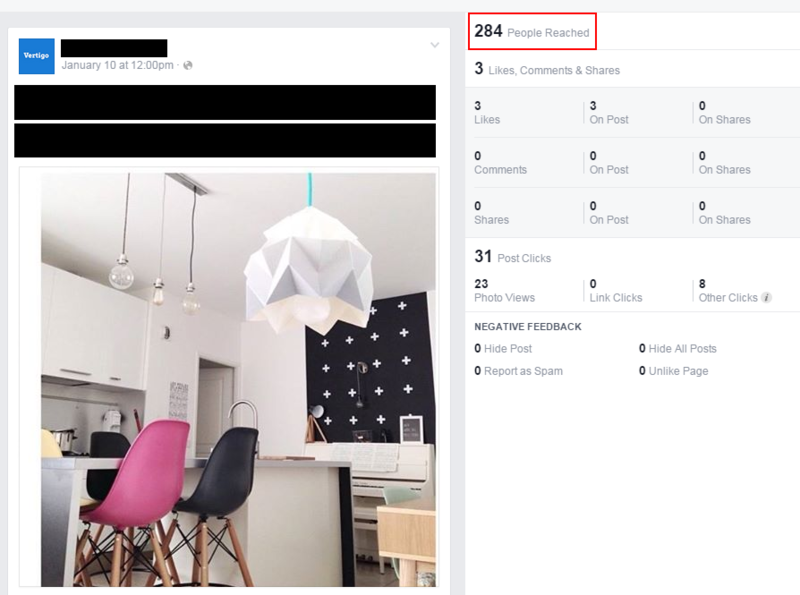 I’ve looked at examples from 2 client’s Facebook pages to find out how different factors can affect organic reach. There has been a stigma surrounding automated posting tools (e.g. Buffer, Hootsuite) since users experienced issues with reach back in 2011. Clearly the tools have been updated and improved since then, but does Facebook still penalise you for using them? Usually I schedule all of my posts using Buffer, but I’ve made a few direct posts over the last few weeks to see if it had any effect on reach. The posts are very similar to one another and were posted at similar times of day. As you can see from the examples, the use of Buffer seemed to have very little effect on reach. With the Buffered post from test one actually gaining higher reach than the direct post. Click-baiting is when a publisher posts a link with a headline that encourages people to click to see more, without telling them much information about what they will see. Facebook measures the amount of time a user spends on the linked page, and if they don’t stay for a reasonable period of time the page is assumed to contain poor quality content and is therefore penalised. This is also the case if a link has a lot of clicks, but the post gets no engagement. The figures speak for themselves. Posts with no links are clearly better performers on average. The new link tool allows you to upload a custom image and edit the headline text, so you get just as much versatility as you would using an image caption. It is important to be aware when using automated tools such as Buffer that the image is pulled directly from the page you are linking, so unless there is a good quality relevant image on the page then it may be a better option to post directly to Facebook and upload your own. Facebook analytics have a fantastic tool which tells you at what times your fans are online, but should you post at ‘peak’ times? 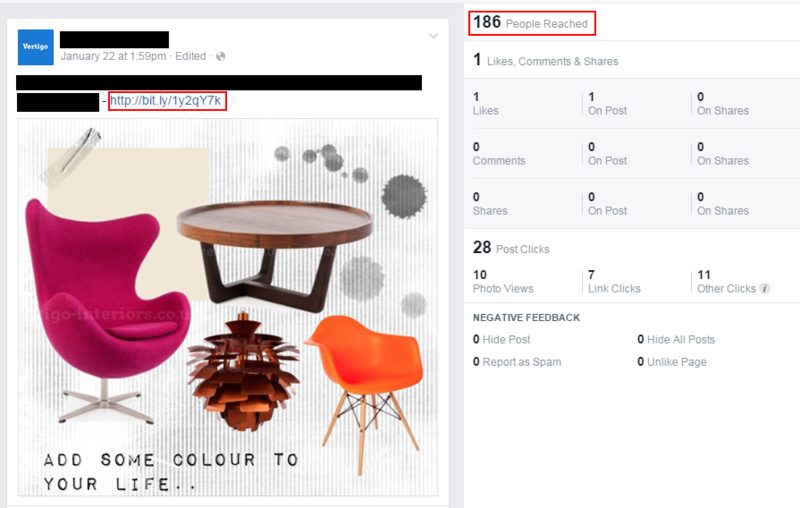 Does the timing of your posts make a difference to organic reach? It may surprise you to see that the post made at the non-peak time performed a lot better. But why is this? 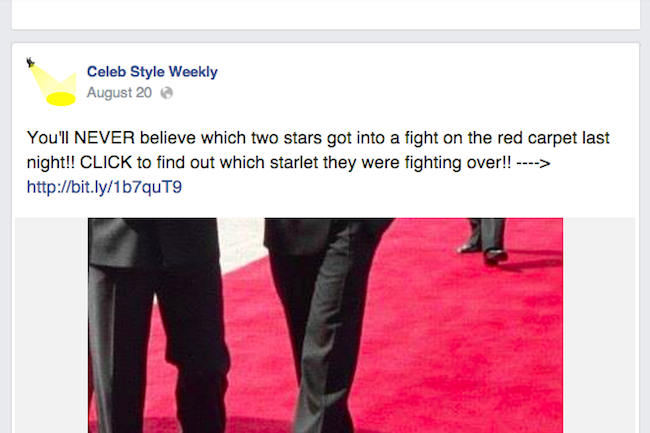 A lot of pages will be making posts during ‘peak’ times; meaning competition to be seen in the newsfeed is high. If you make a post during a ‘non-peak’ time, although there are less people online, the ones who are much more likely to see, and subsequently engage with your posts. 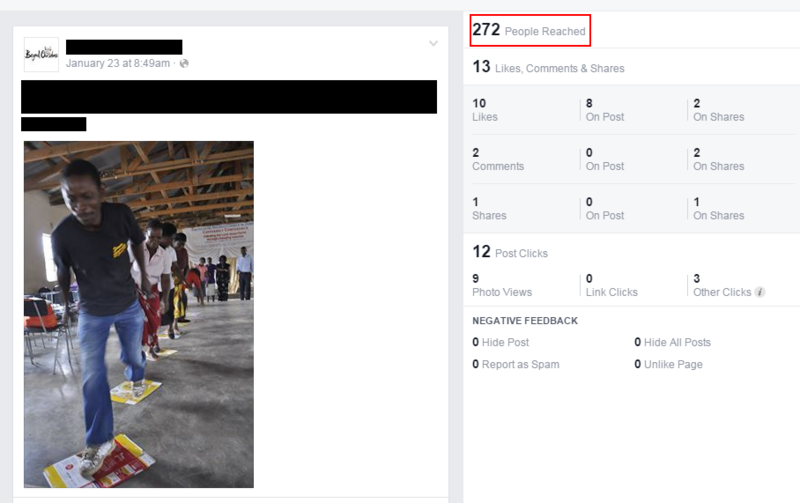 These engagements give the post more weighting when it reaches peak time, therefore generating higher reach overall. 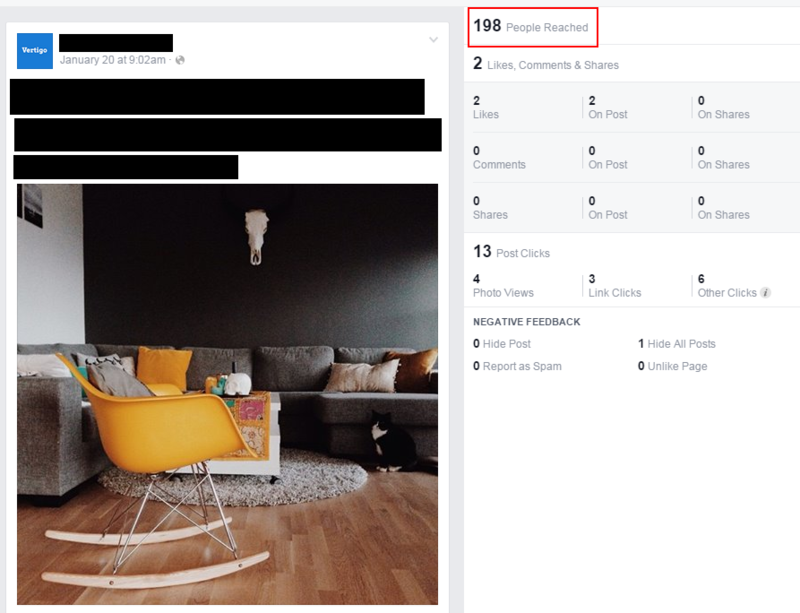 It definitely seems there is a lot to think about when trying to maximise organic reach, but a common theme here is the importance of making high-quality, engaging posts that will interest your audience. 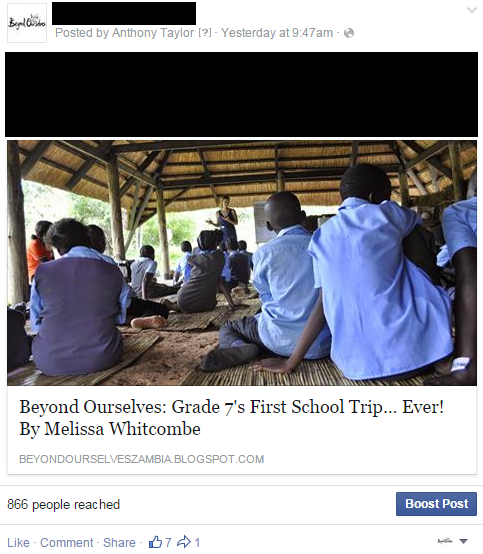 It is a known fact that engagement creates reach, so this should always be at the forefront of your mind when creating posts. There’s no denying that organic reach has taken a plummet in the last few years, however Facebook is far from dead. It just means marketers now need to put a little more thought into their strategies in order to stay afloat and stand out from the crowd. Enjoying a busy and full internship supporting our account managers in all aspects of delivery.